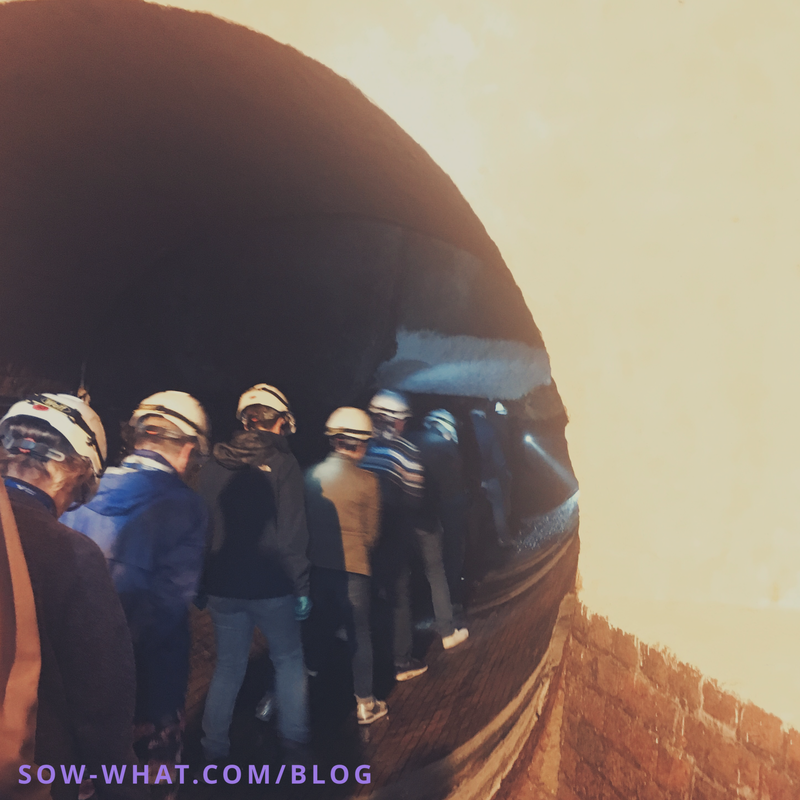 Supporting Sewer Systems – Sow what? 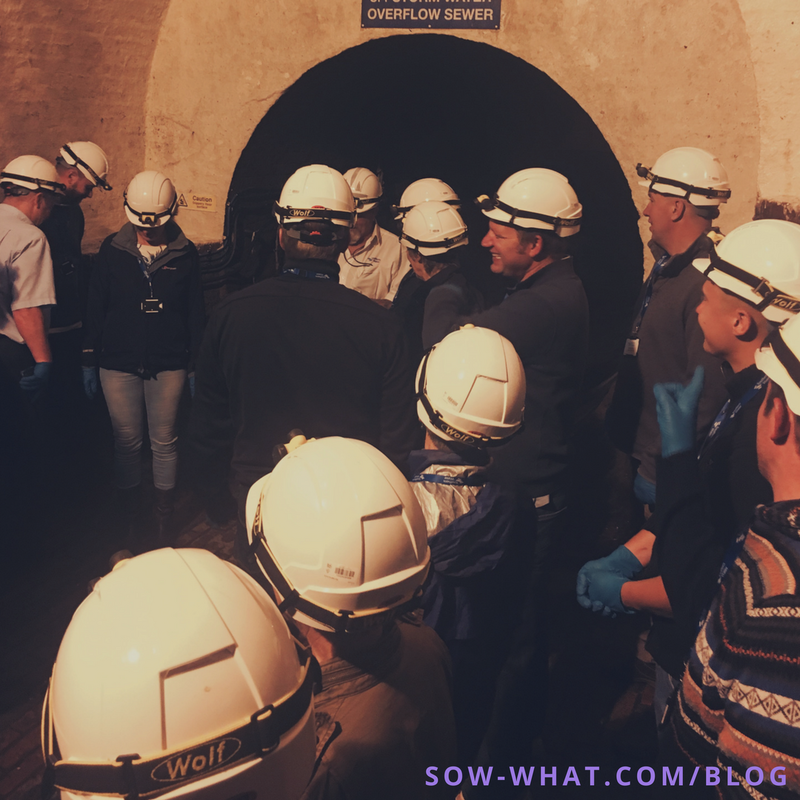 Yesterday we visited the Victorian Sewers of Brighton on a tour run by Southern Water. It was so interesting not only to witness the amazing architecture constructed by the Victorians but also to learn how simple changes in our everyday lives can have less of an impact on the environment we live in and on the systems we definitely take for granted. The tour started by entering a door underneath the pier and as part of a group of 25, we were shown this short video which was very interesting in a small room adorned with pictures of different celebrities who had even made the trip. 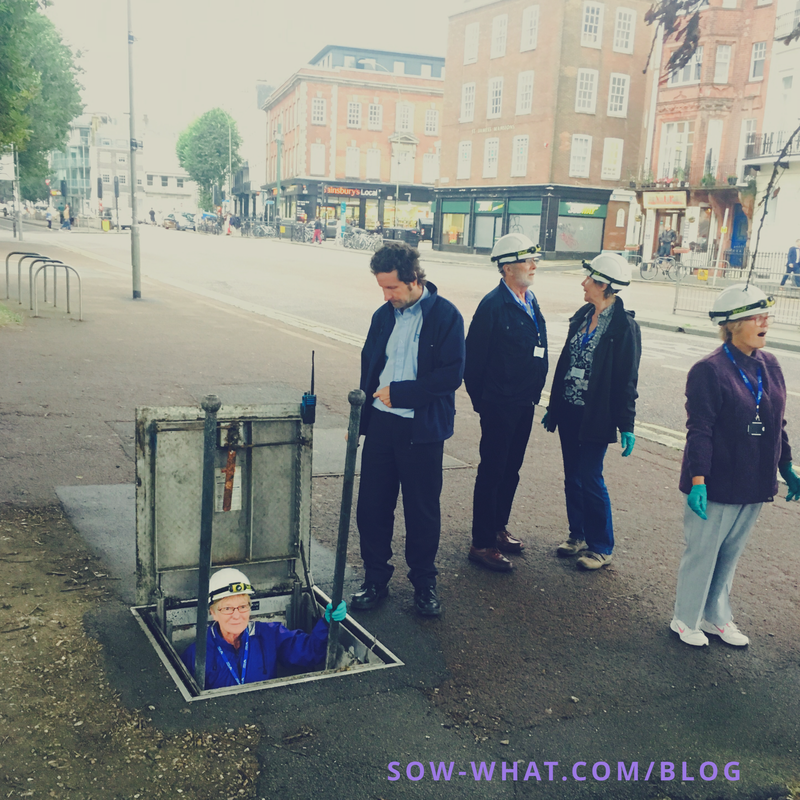 With hard hats and green gloves, tour guides will take you through 366 metres of the 48km of sewers, which means we walked from the Brighton Pier, past the Sealife Centre and then emerged through a manhole in the middle of Old Steine Gardens. We did get some funny looks as passers-by all looked confused at the group of 25 people popping up from a whole in the ground with hard hats on. Once we had walked back to base camp, washed our hands and handed our hard hats back we all walked away with a Southern Water tote (another bag to help say NO to plastic) which included take-away information on how to help protect our sewer systems and free tools to help us start right away. This included disposable bags for sanitary items and a gunk pot to store your oils and fats as they cool down. Sow, what did we learn and how can you help? Basically anything thing that goes down our toilets and sinks should remain as just human waste and water. Our sewer systmes simply can’t take and are not designed for anything else. Nothing but toilet roll should be going down there and even fancy tripple soft, aloe vera encrusted paper is too much for our system too. Trust us, we’ve seen it! Make sure you stick to a good biodegradable loo roll that’s going to be easy on our systems. We like to recommend Who Gives A Crap 100% recycled loo roll as 50% of profits goes to Water Aid. No sanitary products (not even tampons), no baby wipes, no ‘flushable’ wipes (yes that’s right, anything that says flushable is in fact NOT), no condoms, no dental floss, no cotton wool, no cotton buds…the list could go on so to keep it simple – JUST LOO ROLL. 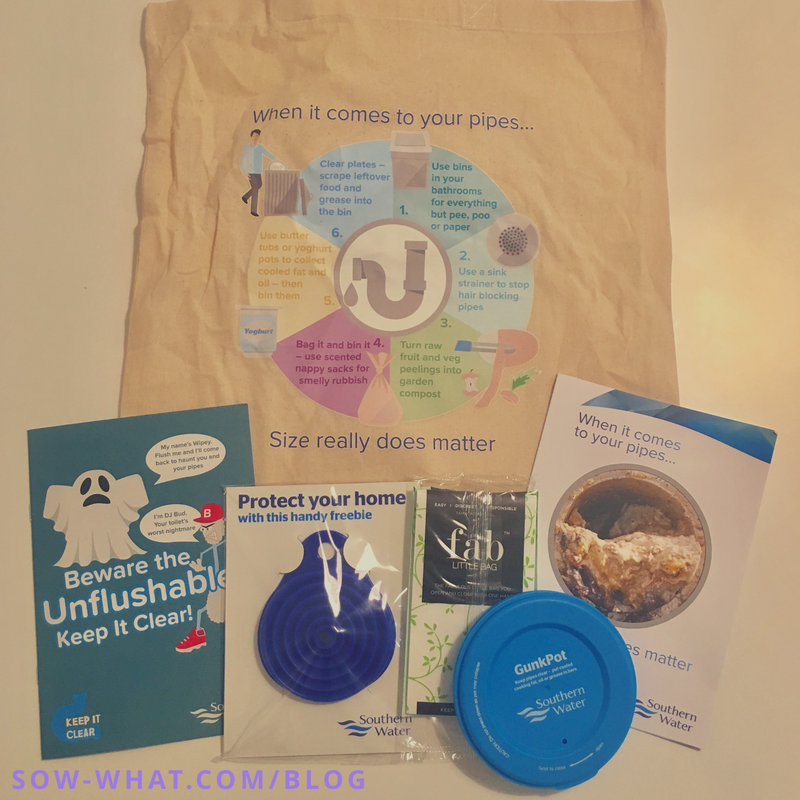 A good idea is to keep a bin in your bathroom to take away the temptation of flushing and use it for these items instead. Especially watch out for cooking oils and fats as these shouldn’t be going down there. When these harden, not only will it line your own pipes and eventually cause a blockage, but the hardened lumps also separate from the water in our sewers and line the walls down there. Wait until your fats and oils cool and then bin it instead. And if all of this isn’t enough for you to want to make these changes today, perhaps the thought of a flood in your own home is enough? Because at the end of the day, that’s what will happen anyway. Your house OR your neighbours. Thank you for having us Southern Water. It was incredibly informative and if nothing else something different to do on a Wednesday evening. Plus, don’t forget to share this blog post with your friends and neighbours so that we can all start making these changes together and today! 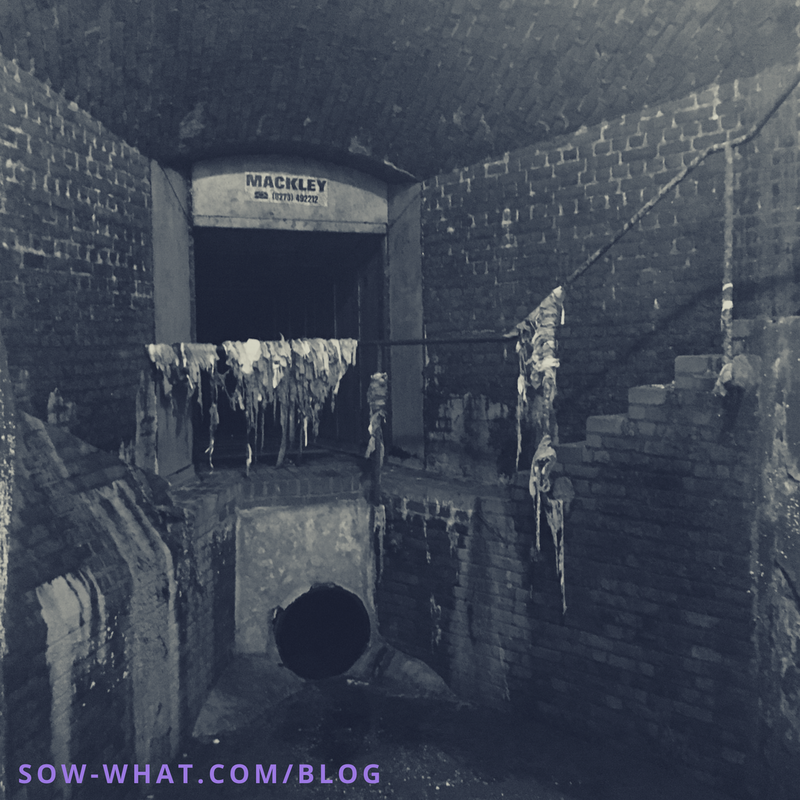 See how our sewer systems can’t cope with wipes and sanitary products? Next postWhat’s your dairy alternative?